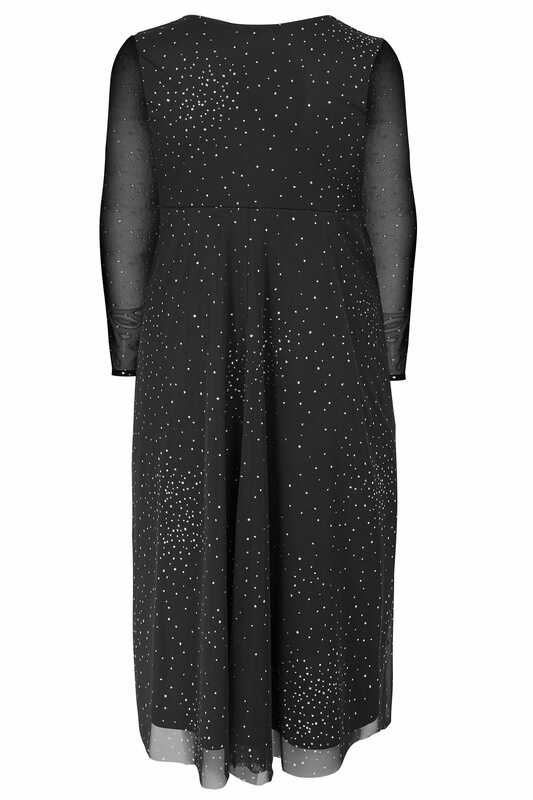 PETITE length from (approx): 109.5cm/43.1"
Leave a lasting impression with this stylish sparkle effect dress from Yours London. Designed in a flattering wrap front style, it features long mesh sleeves, a soft fabric lining, and a feminine v-neckline. 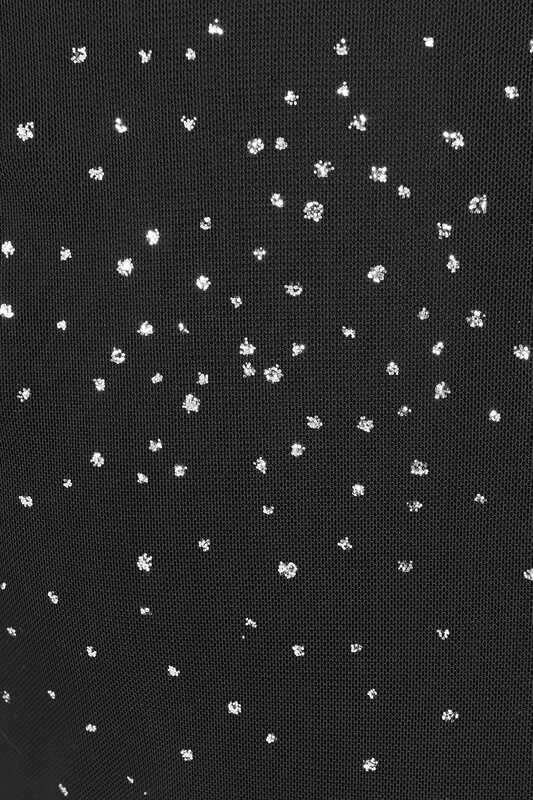 For elegant evening style, wear with a glittery pair of high heels and a matching clutch. 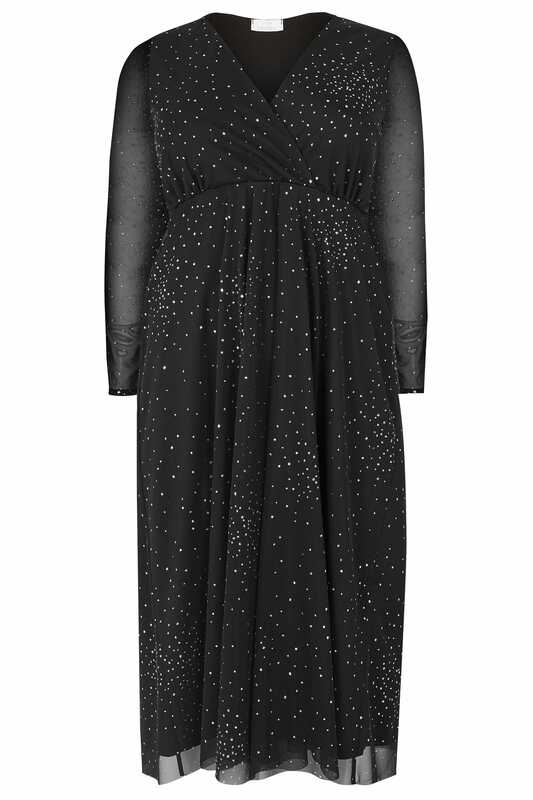 Perfect for the party season, we love the stunning sparkle effect on this dress!